In the financial world, there’s a lot of talk around bitcoin and cryptocurrencies, as well as the term “blockchain.” The blockchain is a technical term for the transaction records of currencies changing hands but done in an anonymized way. A good introduction to the concept of the blockchain is in the TED talk, “How the Blockchain is Changing Money and Business”. I would like to present a case that would benefit the pharmaceutical industry from manufacturing down to the patient level using the blockchain as a transaction and confirmation record. 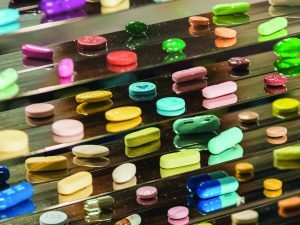 It is estimated that counterfeit pharmaceuticals cost manufacturers more than $75 billion annually. While the economic loss is significant, the risk to patients certainly outweigh any financial losses. Counterfeit drugs can result in diminished treatment and in some case may result in death. Some actions have already been put in place through the Drug Quality and Security Act (DQSA). The DQSA dictates new protocols that require manufacturers to record where a drug has been in the supply chain. Although this is an improvement over the old process, security risks still exist. 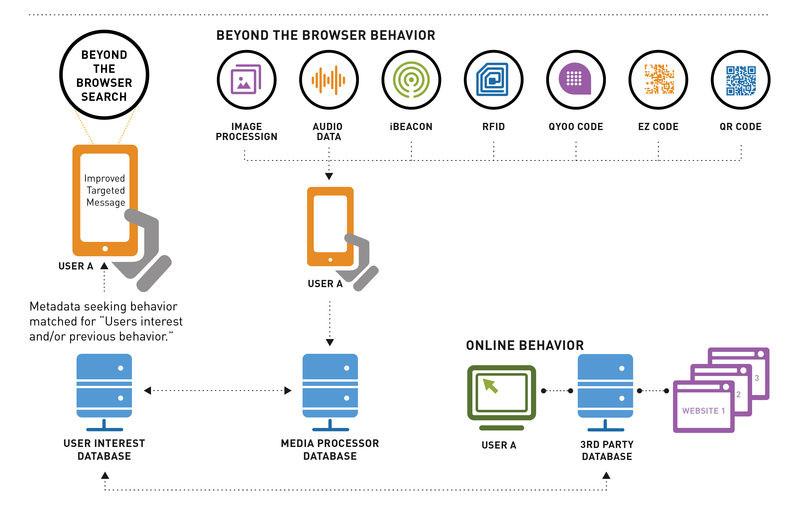 The main risk now lies in the technology being used to record where a particular drug originated from and who handled the drug before it ends up in a patient’s hands. Also, if stored in a traditional database, the information being recorded can be exploited by cyber criminals. There are now over 4,000 cyber attacks a day. 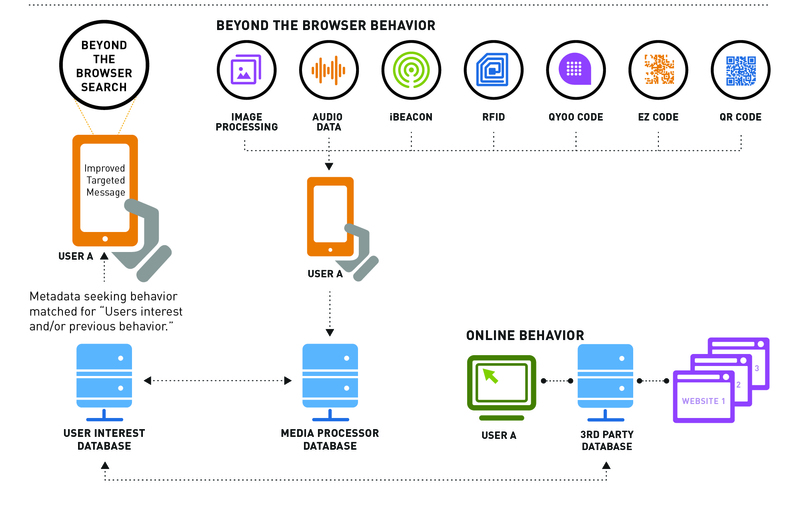 Through a cyber attack, counterfeit manufacturers could exploit a manufacturer’s traceability data. 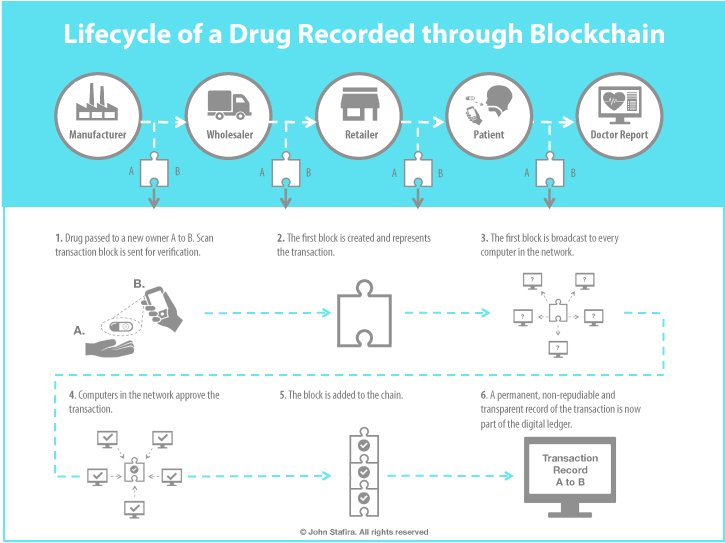 The blockchain would prevent a forgers attempt to use traceability data to legitimize a fake drug. The DQSA act requires a manufacturer to provide traceability of a drug down to the package level. Package level tracking is not a full-proof way to ensure the contents contain the same drug as what is claimed on the label. An example of this problem came up recently: a celebrity died over what was reported to be a mislabeled package that contained fentanyl (a dangerous drug 100 times more potent than morphine). The only way to ensure the authenticity of a drug is to bring the traceability of a drug to the pill level. There are now several new technologies that would allow for this type of granularity. 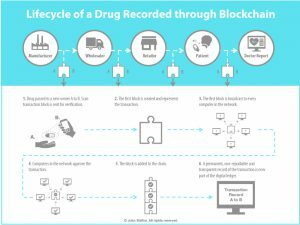 Combining pill level traceability along with the blockchain is a must for the next generation of safety requirements. By bringing the traceability of a drug to the pill level, new opportunities arise to further improve the quality of care of a patient. Along with blockchain another hot topic has been the dicussion of Medical Adherence. Medical Adherence deals with the way patients correctly follow medical advice (most commonly related to taking medication). Poor Medical Adherence greatly affects two sides of Healthcare. First, it creates a large loss for the pharmaceutical industry. It is estimated a loss of over $188 billion annually occurs in the US alone. Secondly and more importantly, non-adherence has important health consequences ranging from decreased quality of life, poorly managed symptoms, and increased mortality rates. By advancing drug traceability to the pill level, this opens up the opportunity to verify the authenticity of a drug at the patient level. This type of protocol would ensure patient adherence of correct timing and verification of medication administration. As the data is recorded in the blockchain, it can be relayed back to the health care provider. Blockchain has great potential to change the way we record a patient’s heath care history WHILE protecting their protected health information (PHI). The pharmaceutical industry’s supply chain is often overlooked for what appears to be more exciting healthcare innovations. That is not the case with blockchain. Through existing technologies there is the opportunity to introduce a new approach to Medical Adherence and Pharmaceutical Traceability. Despite the many frustrations in the healthcare space, now is an exciting time to be involved. There are many new platforms emerging that will change the way healthcare will be delivered in the future.